This humble but very available vegetable is often overlooked for more exciting alternatives… but has recently gained quite a bit of fame as a carbohydrate replacement with the rise of the Paleo diet! 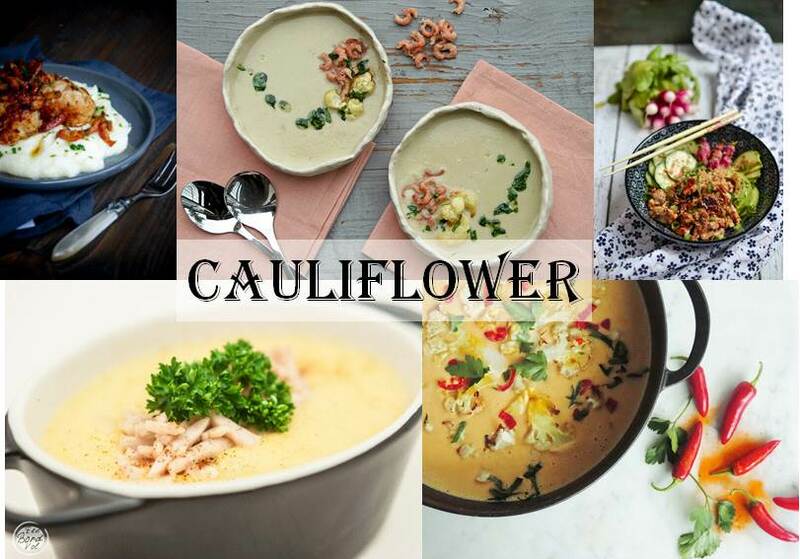 We therefore take this opportunity to showcase 5 beautiful blogger recipes (from our Belgian database) for Cauliflower!! Looking for a substitute for rice? Well, Alicia of Alicia’s Kitchen Antics creates a Cauliflower *rice* bowl with Yakitori chicken. And you can find this glorious Thai Cauliflower soup recipe from Sandra of Leeks & High Heels. Finally – Rob & Elien of Een Bord Vol serve up a steaming bowl of Cauliflower chowder for your enjoyment! Do you have a Cauliflower recipe that you wish to share with us? Just add the link to the comments section below!